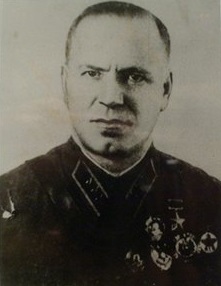 Georgy Zhukov, the Soviet Deputy Supreme Commander, recommended to Stalin that Soviet forces stay on the strategic defensive, and only go on the offensive after a predicted German attack on the Kursk salient had been blunted. Operation Barbarossa, the German invasion of Russia, had failed to defeat the Soviet Union in 1941, and their Summer 1942 offensive had ended with a disaster at Stalingrad (Volgograd). The United States had joined the war in December 1941, and in conjunction with the British, they had driven the Axis out of North Africa, and threatened an invasion of Europe: which could arrive in Sicily or mainland Italy, Greece, Norwayor France. The British and Americans had also launched an increasingly effective strategic bombing campaign against German industry and cities. As a result of these factors, the Germans decided to primarily go over onto the defensive on the Eastern Front. Instead of attacking, they would try to inflict heavy losses on the Soviets by clever use of prepared defensive lines mixed with limited offensives. Looking at maps of the front, the Germans identified a large Soviet salient around the city of Kursk as a potential target for one such limited limited offensive. A pincer attack from North and South could nip off the salient and trap a large amount of Soviet forces. This idea was the genesis of Operation Citadel (German: Unternehmen Zitadelle). The Germans however spend a very long time building up forces for Operation Citadel, including awaiting for the arrival of new tank models which they believed would give them superiority. While the Germans were building up, the Soviets were not idle. The Kursk salient was an obvious target for a German attack, and their spies and intelligence sources confirmed that one was coming in this region. The Soviets built up large defensive forces in a powerful multi-layered defense, with lots of minefields and fortifications. 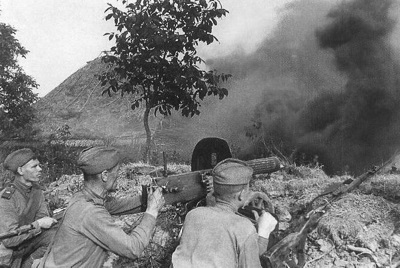 The Soviets planned to blunt their German attack against their fortifications, and only after it was stopped, they would launch their own counteroffensive.